"Climbing to the top is not too big a problem, the problem is remaining at the top". 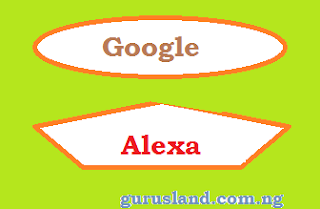 In our last chapter we learnt how to optimize a website SEO for higher Google and Alexa rank, what if you have gotten to an acceptable height, and your posts now appear on the first page of Google search, how will you be able to maintain that position when you have hundreds of competitors working day and night to see you drop in rank? In our chapter twelve lectures we learnt How to Drive Huge Quality Visitors Traffic to Your Blog, if you have gotten the visitors and attention you have been striving for, how do you make sure you don't lose them again, the theme of this chapter is one big talk. As stated in chapter one, I will not just teach you how to create a blog and earn from it, but also, how to manage your successful blog, this is the bigger problem, if you have ever watched your once popular blog fall and lose all its Alexa rank, then you will understand the reason for my emphasis on this topic. Yes, I was once a victim, On the 5th of August 2016 one of my websites; ngstudents.com went down, I mean completely offline, I will tell you why, it was a funny one though, I fell for the temptation of moving from wordpress.com to wordpress.org without rating my new host up to 75%. This silly mistake of mine that lasted for just two months pulled my daily unique visitors from 10,000+ to 400, what a pity and loss of cash, my Alexa rank dropped from 300,000 to 2,000,000, it was that bad. So therefore, when I came up with this theme as a lecture topic for chapter fourteen, I felt a bit relieved, at least, I have warned you of the dangers of falling after you become popular. 1. Create A Lasting Relationship With Your Members. "How to maintain a lasting relationship with your blog visitors" will be a topic of another chapter, but it is worthy of note that your relationship with blog visitors is a measure of how much grounds you have gained in your niche. Many bloggers are used to ignoring their members or blog visitors when they become popular, most of them always give the excuse of "no time", forgetting how dedicated they were to their audience when they were starting out. Let’s stop here and keep the rest for chapter fifteen. "How To connect and build a great relationship with other pro bloggers in your niche" will be a topic of of chapter sixteen. As for me, I don't have competitors, I only have business partners, even if your website ranks next to mine in Google search, that's not enough reason for me to take you as a competitor, except you copy my posts or spoil my blog's reputation, then we wrestle it out, I will talk more on this topic in chapter sixteen. Your blogging platform is the home of your blog, it is your workshop. If your website goes down for just a week, it will take a month to recover, that is, if it will recover. If your choice of blogging platform requires you to host your blog, you must ensure that you did not use a crazy host, take for example domainking.ng mysteriously went down sometime in 2017, and for months it did not come back online, bloggers hosting with them will be in soup if their host renewal date was at hand. Don’t worry, in one of our lecture chapters I will teach you how to choose a hosting platform, and also, the best hosting platform for your new blog. Don't be greedy with your fortunes when you become a pro blogger, there would be times when you will feel reluctant to post new articles, or the rate at which you post new articles will reduce, if you are already earning some cash with your blog, you should consider hiring a freelancer to help you keep your posting reputation up and going. The work of a freelancer is explained in chapter three. The Ease of expansion is one big factor we discussed in chapter Four, Where I lectured on how to choose a perfect blogging platform for your new blog. Not all blogging platforms allow expansion, blogger.com don't. This one of the weaknesses of Linda ikeji's Blog. As your blog becomes more popular, it’s normal for members to ask for new features, if you can't provide them with at least 70% of their requests, they might be consider looking to one of your competitors for it. You should see your blog as your business, if you keep on enjoying your AdSense earnings without reinvesting on your business, then the Law of Diminishing Return will come Knocking at your door. Don't think that when your blog becomes popular then you have landed. In fact, more work is needed to maintain that position.